PlayerUnknown’s Battlegrounds just had its best month since launch for player sentiment, but their happiness is yet to have a significant impact on the game’s population: according to SteamCharts, November saw peak concurrents drop below a million for the first time in more than a year. That said, the last 30 days – which includes two weeks of December – has seen the first gain in average concurrent players since January. So far it’s only a marginal increase of 0.64%, but December’s story is still being written. There’s a chance that PUBG might post a peak concurrent count of over a million by the time the new year rolls around. The player sentiment data comes to us via PlayerXP, and you can read their report here. After cratering over the course of November last year, PUBG player sentiment has been steadily ticking up since July, and peaked last month. Much of that increase coincides with the ‘Fix PUBG‘ campaign, which the devs concluded in October. 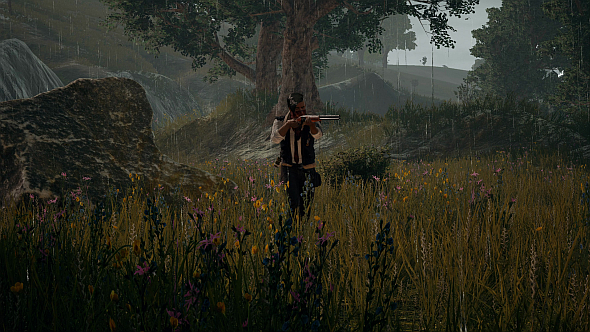 And it seems to have worked: PUBG players are now officially more content with their game than ever since launch. It’s notable that PlayerXP’s data is mutli-platform, and that users of PUBG mobile on Google Play are the most content users. That said, Steam’s recent reviews are the first for a while that are more positive than negative, with 69% of 26,753 users giving PUBG the thumbs-up. Barring a blip in October, negative reviews overall have been steadily tailing off since July, so the trend PlayerXP has identified is broadly reflected on PC. Now PUBG Corp just need to see it translate to sales and player population.